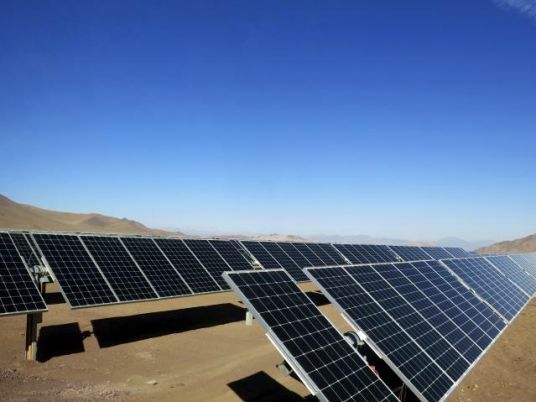 Egypt's EFG-Hermes is planning to increase the investments it manages in renewable energy to 1.5-2 billion euros in the next two years from 730 million currently, said Bakr Abdel-Wahab, its managing director of infrastructure private equity. EFG-Hermes, one of the Middle East's largest investment banks, has a renewable energy portfolio concentrated in Europe, but Abdel-Wahab said the firm was seeking to manage investments in the sector in Egypt within the next two years. "We have spoken to Egyptian and foreign companies working in the local market which have projects that need capital. We will provide them with the capital and help them to manage," he told Reuters in an interview. "We are initially targeting projects of around 500 megawatts of solar and wind energy in Egypt", he added. Last month, EFG-Hermes's Vortex business signed an agreement with EDP Renewables Europe SL to acquire a 49 percent equity shareholding and outstanding shareholder loans in a portfolio of onshore wind assets in Spain, Portugal, Belgium and France for a total of 550 million euros ($629 million). Abdel-Wahab said Vortex may acquire shares in other companies in Europe this year and had submitted letters of intent to two companies. "We aim to increase the investments managed by EFG-Hermes in renewable energy to 1.5-2 billion euros ($1.7-2.3 billion) within the next two years to 2018," Abdel-Wahab said, adding the firm also planned to increase its production capacity to 1,000 megawatts of wind and solar energy from 460 megawatts currently. Abdel-Wahab said EFG-Hermes was planning on expanding to manage renewable energy investments in other markets as well, including the United States and eastern Europe.